We are illustrious as a Y strainer for the chilled water manufacturer; our Y strainer is establishing its ability to excel under the chilled water. The design and manufacturing of this Y strainer are carried out cautiously and therefore is able to filter any size of sediments with the accuracy and prevent damage caused by thereof. 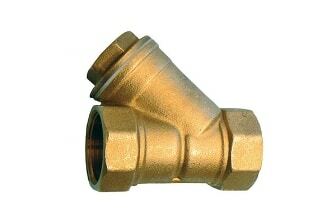 As this Y strainers are manufactured to perform under the chilled water, nickel plated material is used to flourish against the low temperature. The offered Y strainer for chilled water is capable to operate under -20° F temperature and filter all the unwanted parts and secure the expensive materials at low cost. This Y strainer for chilled water is as per the ISO 9001:2015 standard, whereas all the face to face and end connection is available as per ASME, DIN or BS standards. The highly acclaimed collection of our Y strainer is available in India and other countries at the best prices.